While on a trip up to the local hardware store for some wood screws, I gave the old sign that is kept out front a slow drive by. It is strange that I have not photographed this prior. 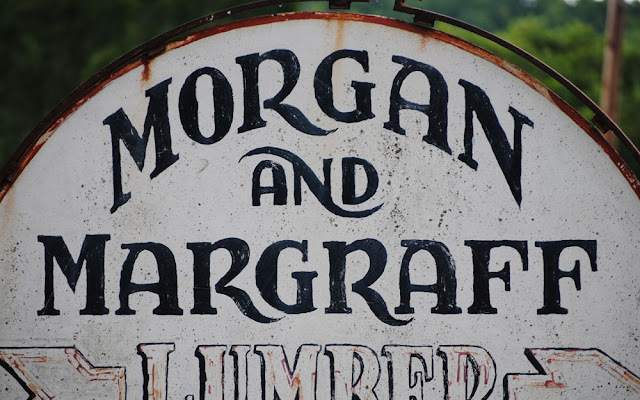 While inside, I questioned the history behind the sign. 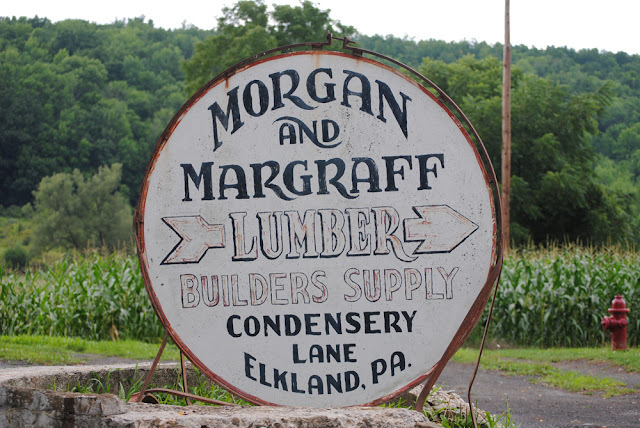 I was told by the fine folks at Morgan and Margraff that a local Elkland sign painter, Glenn Wilson, completed this sign many years ago (they believe it was done in the mid eighties). I was told that he painted many signs locally (I would love an opportunity to see them). 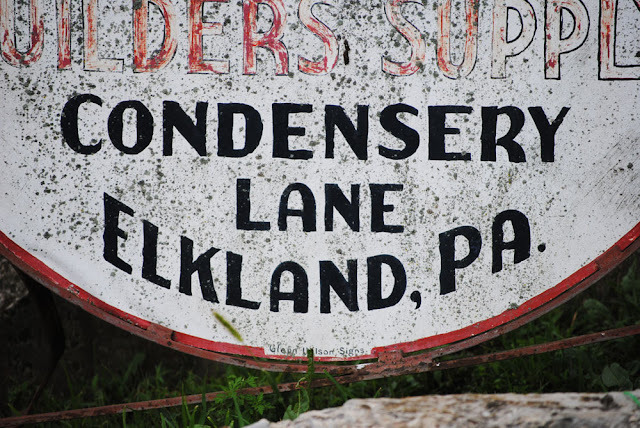 The owner attempted to show me a sign of the former shoe store in town that Mr. Wilson had rendered but he was unable to locate it in the warehouse. I sure hope that sign is found....wow, was I excited at the prospect of unearthing another sign! 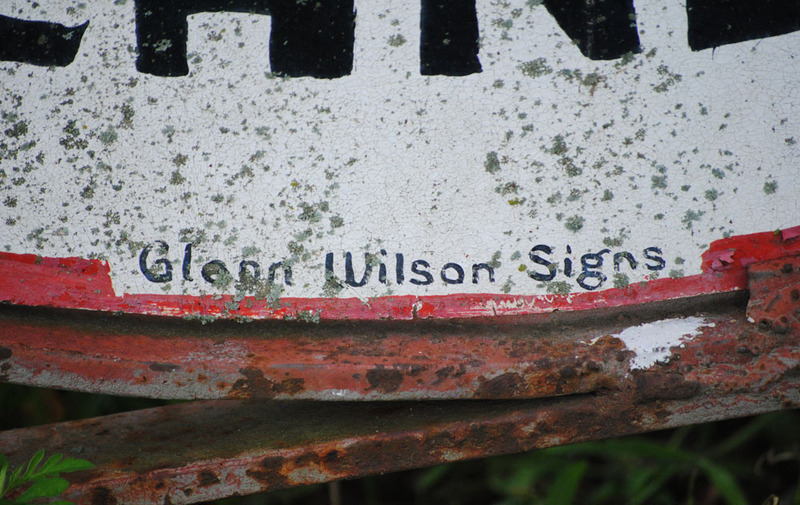 Though this sign has had daily battles with the elements, it still retains the style and skill that Mr. Wilson obviously possessed. 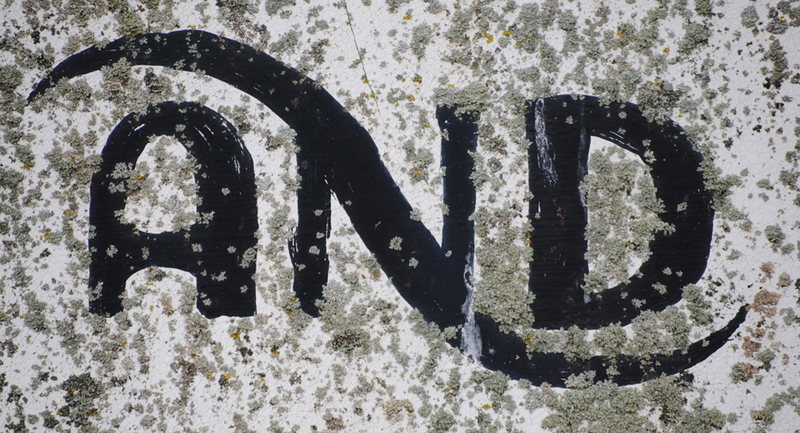 Mother Nature, in my opinion, has this sign in amazing condition. If it were mine, it would find wall space. The arched letters of MORGAN are great with an exaggerated M and N. Love the rounded, flared-out R's. The A's seem to come from the early part of the 20th century and place us in the era of the nature-driven Art Nouveau days. I am on the lookout for any other signs by this man. If you know any, email me please! Would love to post some images (or maybe buy). Thanks all.